Lin-Manuel Miranda flew to Puerto Rico to to announce that he teamed up with the Flamboyan Foundation to create the Flamboyan Arts Fund, a fund meant to boost the arts on the island, since cultural and artistic groups have been hit especially hard. He said all funds from the upcoming “Hamilton” show that will be performed in Puerto Rico in January will be donated to the fund. Under the cut, there’s an extensive report from Broadwayworld. Today, Lin-Manuel Miranda, his family and Jeffrey Seller, producer of HAMILTON, announced the creation of the Flamboyan Arts Fund in partnership with the Flamboyan Foundation. 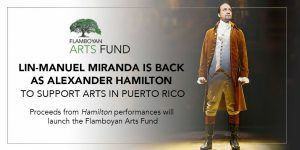 The creation of the Fund, which coincides with Miranda’s return to the title role in HAMILTON January 8-27, 2019 at the University of Puerto Rico (main campus in Río Piedras), will be dedicated to supporting institutions and arts groups as well as independent artists, musicians, galleries, etc., to ensure that the rebuilding of Puerto Rico includes the nurturing of the island’s vibrant arts and culture. One of the Flamboyan Arts Fund’s first philanthropic goals is to leave behind a new Actors’ Equity-approved theatre at the University of Puerto Rico to entice future professional touring productions to come to the island. The repairs to the theatre, which was badly damaged by Hurricane Maria, are being supported by the Fund with additional support from inaugural grants by Warner Bros., Loretta and Victor Kaufman, and anonymous donors. Airbnb will be donating a portion of fees from trips to Puerto Rico for June – September 2018 to the Fund. Since Hurricane Maria devastated the island on September 20, 2017, arts and cultural organizations have faced severe reductions to grants, government support and sponsorships, and significantly lower attendance and revenue. Some have reduced staff significantly, such as the Andanza Dance School and Company and the Museo de Arte de Puerto Rico, and other institutions have closed. As the island continues to rebuild with the help of organizations like Hispanic Federation, it is paramount that the cultural life blood of the Puerto Rican people also has a chance to continue to grow and thrive. Arts and culture are pivotal to the vitality and the economic recovery of the island, as they are critical components of the tourism sector. All profits from HAMILTON’s engagement in Puerto Rico will be donated to the Flamboyan Arts Fund. And, in order to maintain accessibility to the arts for all, 9,600 tickets will be available for the Puerto Rico engagement of HAMILTON via a digital lottery for $10 each. Local companies Banco Popular and Church’s Chicken are providing sponsorships that will support the Flamboyan Arts Fund. Marriott International is pledging a portion of each hotel room at its 11 local properties on the Island booked from December 2018 – February 2019 to the Fund, as well. 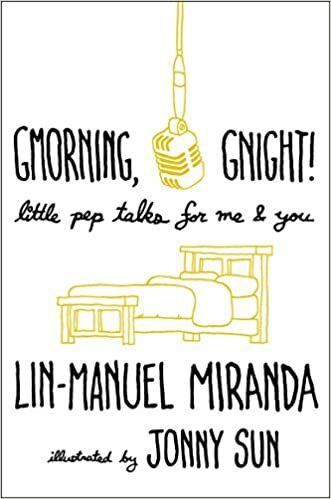 As part of the initiative, Lin-Manuel Miranda and his family, in conjunction with Flamboyan Foundation, will also advocate for public and private funding for the arts to ensure that the momentum built over the next three years continues beyond the scope of the Fund.